Ageing Population – Most countries in the world are experiencing an aging of their populations, a trend that is projected to continue in coming years. Ageing and aging-related diseases are a challenge for the individuals, families, and for social, economic and healthcare systems. For the healthcare sector, this is leading to an upward pressure on healthcare costs. As the growing population leads to an increase in the population living with chronic disease and disability, they also increase the demand for health services, which causes workforce shortages and a greater need for care and volunteers. Chronic Diseases – Conditions such as diabetes, cancer, and heart and lung disease have outpaced infectious disease as the leading cause of morbidity and the No. 1 financial burden on health systems and governments in terms of treatments and loss in productivity. According to a WHO report, it has been projected that, by 2020, chronic diseases will account for almost three-quarters of all deaths worldwide. The number of people in the developing world with diabetes will increase by more than 2.5-fold, from 84 million in 1995 to 228 million in 2025. On a global basis, 60% of the burden of chronic diseases will occur in developing countries. Hospital Overcrowding – Overcrowding of hospitals is a problem that can affect a patients’ ability to get timely and quality care. One of the main reason for overcrowding in hospitals is that even when a patient is in no longer in need of the expensive acute care that hospitals provide, they are forced to stay in the hospital. The next step of treatment for these patients could be home care or long-term care but because of the lack of resources in the LTC sector, the hospitals are forced to cater to patients who are too sick to be sent home without extra help. This, in turn, leads to a scarcity of beds in acute care facilities – further leading to greater waiting time and greater delay in providing treatment to a patient who needs it. Rural Healthcare Delivery Issues – Rural Residents experience many difficulties in accessing proper health care services. These disadvantages result in higher morbidity and mortality rates compared to those in their urban counterparts. It is crucial to address the challenges listed above to improve the state of healthcare worldwide. The healthcare systems will need to prepare for the higher incidences of chronic conditions along with the increasing aging population as well as coming up with more efficient methods of healthcare delivery. One of the most effective cures for these killers could be smart healthcare delivery through Remote Patient Monitoring Solutions. RPM allows to detect early signs of deteriorating medical conditions and therefore handle the effects of aging and treatment of chronic diseases more efficiently. This technology which is not limited to the confines of the traditional healthcare facilities, allows healthcare providers to reach out to a wider market or potential healthcare seekers especially in remote areas where health care delivery mechanisms are not strong enough. In addition to this RPM also helps to reduce the strain on the available healthcare facilities and resources by allowing to monitor the condition of patients remotely. 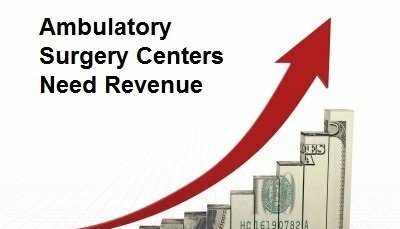 This leads to a decreased number of emergency admissions and hospital re-admissions thus optimizing the use of hospital resources and allowing them to serve more patients. RPM is quickly becoming a necessity for healthcare facilities in their endeavor to efficiently and effectively tackle some of the most life-threatening challenges. Any healthcare provider needs to seriously consider adopting RPM as a standard health managerial best practice. Napier Healthcare has taken the first step towards this movement of enhancing healthcare delivery by developing a telehealth solution that provides a cure to the problems healthcare industry is struggling within the present times. If you’re in the market for a complete telehealth solution turn to a company that has been a pioneer in healthcare IT solutions since 1996.